Once referred to as stoke folk, Fernie BC’s Shred Kelly are set to release their 4th album February 16, 2018 via Germany’s Devil Duck Records. 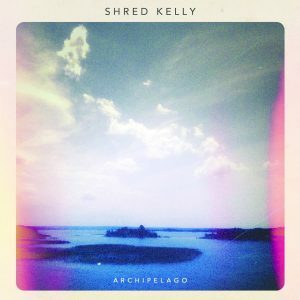 And while Shred Kelly‘s sound is definitely rooted in folk music with banjos and ukuleles at the core, their new album Archipelago is immersed with electric guitar, synth, and even what sounds like thrash drumming on tracks like Stay Gold and Nova. What really stands out about Shred Kelly though is the dual lead vocals that seem to compliment one another perfectly, making their harmonies almost ethereal. Collaborative songwriting between all band members potentially can lead to many different artistic ideas, numerous individual influences can often make an album just sound off. But working with producers Howard Redekopp (The New Pornographers, Tegan and Sara), and Josh Rob Gwilliam (Cowpuncher, Michael Bernard Fitzgerald) I’m sure helped keep the coherent flow of the album. With the running themes of relationships and living in the current world, it’s a very relatable album that you will have on repeat for weeks. Suggested tracks: Jupiter (Any Other Way), Stay Gold, and Way Down. You can pre-order/purchase a copy of Archipelago here.